Why Convert The SCBA Waist Strap Into A Harness? One of the biggest challenges in the fire service is to drag an unconscious firefighter out of a fire. Setting up the SCBA pack as a harness will allow us to drag, move or carry that downed firefighter much more effectively. Converting it into a harness will allow us to have straps and “grab points” that will be very useful when we grab, carry or pull that downed firefighter to safety. This is a skill that is missed in the heat of the moment when we attempt to move a downed firefighter. This technique takes only seconds to perform but, in the end, saves minutes — which is a lifetime in firefighter rescue time! Upon locating the downed firefighter, we must conduct a very rapid assessment to determine how and if we can rapidly move him or her out of harm’s way. In the event the firefighter is not able to assist in his own removal, we must move quickly and effectively. As discussed in previous articles, the only chance we have to give the downed brother or sister a fighting chance at survival is to get him or her up and out to medical care quickly. Those of you who have not had the opportunity to attempt moving a fully-outfitted, unconscious firefighter have not experienced the greatest challenge of our job. Most, if not all, fully equipped firefighters weigh between 200 and 300 pounds. An unconscious firefighter is that heavy and without muscle tone which would make him somewhat easier to move. Simply “picking them up” is a herculean task. We must find and use whatever means we can to assist in moving a downed firefighter. One method to make it easier to move the downed firefighter is to convert the SCBA straps into a modified class harness. 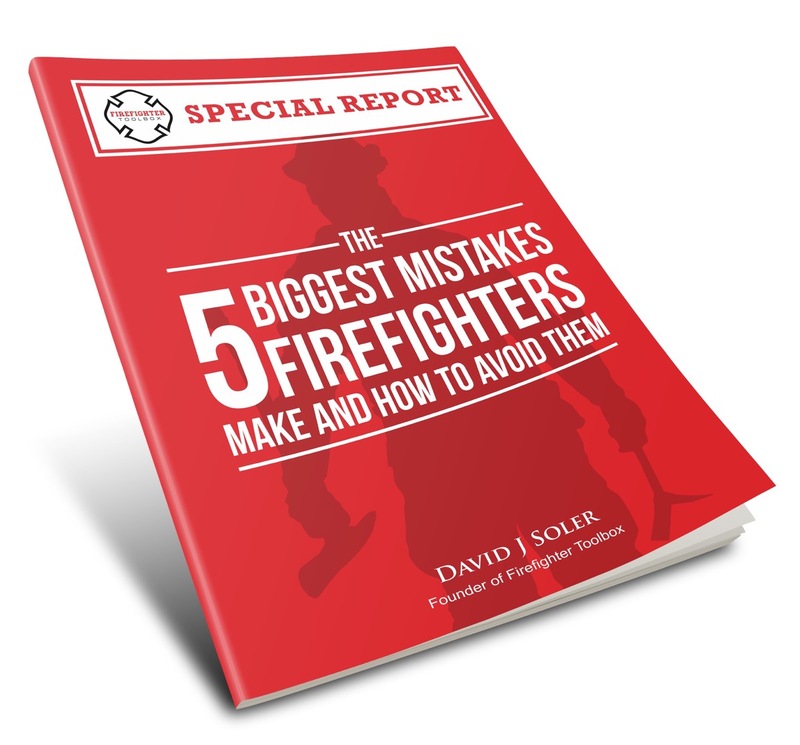 It is quick and easy, and the most effective method I have found to get an unconscious firefighter out of the building, no matter where they are located! Upon reaching the downed firefighter, two personnel immediately convert the SCBA straps into a harness. Ensure the firefighter is on his or her side. If the firefighter is not on his side, immediately roll him onto his side. Step 2 – Loosen the waist and shoulder straps. Loosen the shoulder straps and unbuckle the waist strap of the SCBA harness on the downed firefighter. Push the SCBA cylinder and pack down towards the firefighter’s legs. This will allow the waist harness to reach completely between his legs. Loosen the shoulder straps (L) and undo the waist belt. Place one end of the waist strap between the firefighter’s legs, then connect the strap back to the other end. This creates a fixed loop that goes between the firefighter’s legs. Bring the waist belt between legs (L) and re-buckle waist belt. Tighten the shoulder straps. Ensure that the straps are tight and snug so when you are dragging the downed firefighter, the SCBA harness will have a good grip on the downed firefighter. You have now given yourself a harness that you can use to lift, drag, raise or lower the downed firefighter. Why Go Though All This Effort? I often get asked if we should go through all this effort. Here’s my response: If we don’t take the 15 or 20 seconds to accomplish this conversion, we make moving the downed firefighter very difficult and time consuming. Yes, it will take us 15-30 seconds in the beginning, but it will save us that much time and more when we are dragging and moving the downed firefighter. It is definitely worth the investment of time up front. Here is one option to move the downed firefighter once the harness is in place. One rescuer grabs the shoulder straps and lifts while the other rescuer grabs the waist strap and lifts. The rescuer at the waist then places one leg between the downed firefighter’s legs, and we are ready to move. Additionally, if we must raise, lower or traverse steps we can effectively accomplish these obstacles much easier utilizing this method. It makes movement far more effective and much quicker. You must practice this skill under tough conditions to become efficient and quick! Until next time, be safe, stay low and keep learning. Feature photo courtesy of PGFD. Article photos courtesy of Captain D. Brinkley (BCoFD). My department uses MSA SCBA and found that the waist straps are short and sometimes difficult to wrap around the leg to make a harness. We have added a rope rescue “pickoff” strap to our RIT packs to connect to each end of the straps to give us a longer strap to use. This has worked quite well during training. When we switched over to the Scott Self Rescue System I found it difficult to convert the waist strap into a harness. Not only was the new waist buckle not as easy to manipulate with gloves on but the strap itself was sometimes not long enough. I found a work around in a seat belt that I swiped from an old junk car we had for training. I cut the belt, water knotted it and simply pass it underneath the firefighters waist belt through his legs and buckle it. Tighten down if needed and I am good to go. Works great, is free to obtain and store it right it in my pants pocket. A Chevy seatbelt will fit the Scott SCBA. Then you can make an extender, thats whats in our RIT bag. After conveting the harness a quick way to move the downed FF is to connect your waist stap or pants harness into the FF’s shoulder strap. The closer the top of the bottle is to your your waist the esier it is to drag. This will put the weight on your hips. It also makes it easier to carry the FF upstairs.